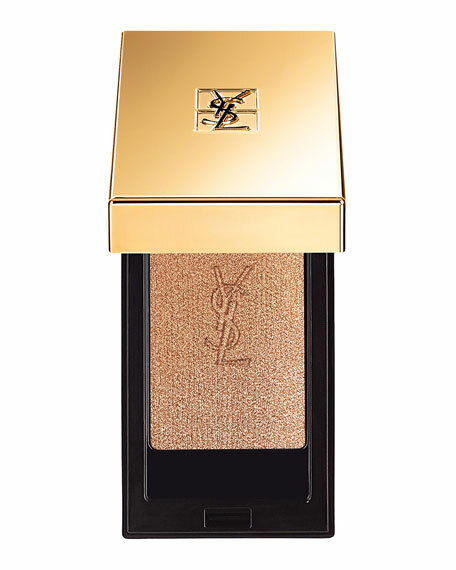 Yves Saint Laurent presents all day wear and the highest chromatic power, now in 16 iconic shades. No crease, no migration, only intense color pay off that makes a statement. Available in matte, satin, metallic and shimmer finishes. Presented in an elegant gold compact with two applicatorsa foam tip for blending and a brush for precisionensure effortless color control. 24K Gold Gel Primer - Brighten, 2.0 oz.